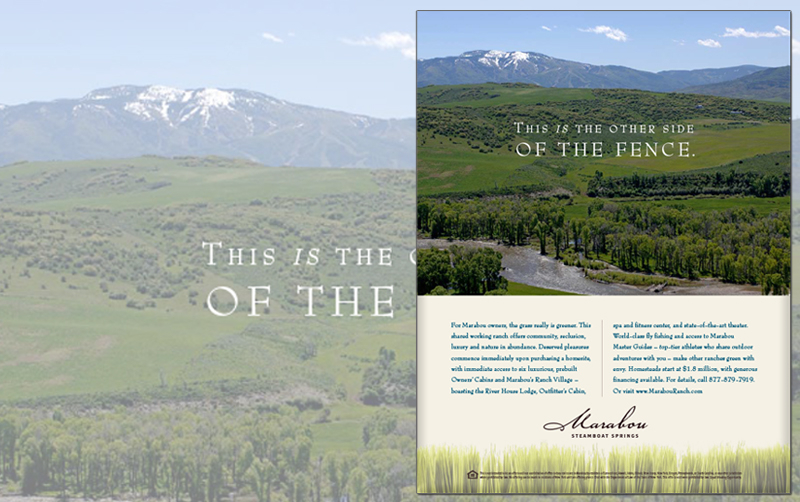 Marabou is a private, shared ranch community in Steamboat Springs, Colorado. The owners were looking for a fresh advertising approach to boost sales in a down economy. 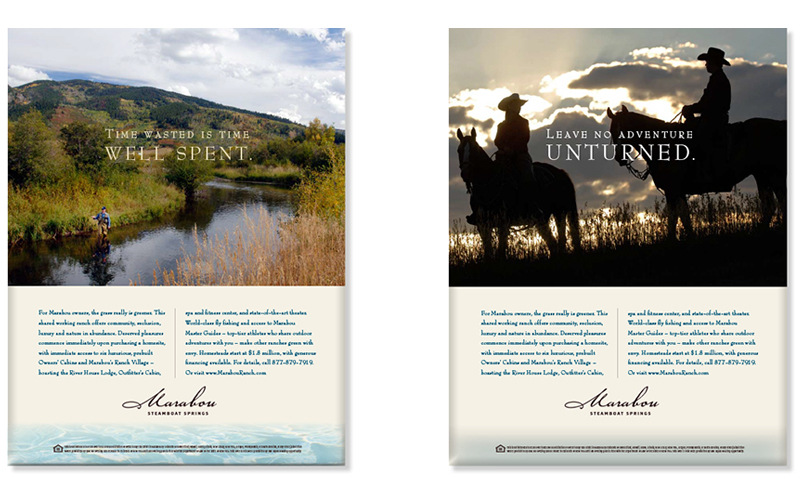 A series of print ads, a revamped website and a TV commercial were created to showcase the land and the luxury amenities offered at this beautiful community.